(BPT) – Cinnamon, nutmeg, allspice, cardamom, vanilla – the spices and flavors of the season are as integral to the holidays as pumpkins, gift-giving, and family gatherings. 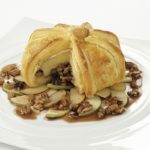 It’s hard to imagine ever tiring of seasonal flavors, especially when they illuminate baked treats and other holiday dishes, but there’s also nothing wrong with craving new ways to enjoy seasonal spices. By all means, give your sugar cookies a dash of personality with some ginger, and deck your glazed ham with whole cloves. 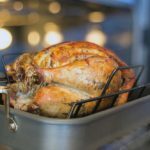 And while you’re savoring holiday spices and seasonings in traditional ways, why not try some innovative ideas for incorporating the flavors and aromas of the holidays into other aspects of your celebrations? 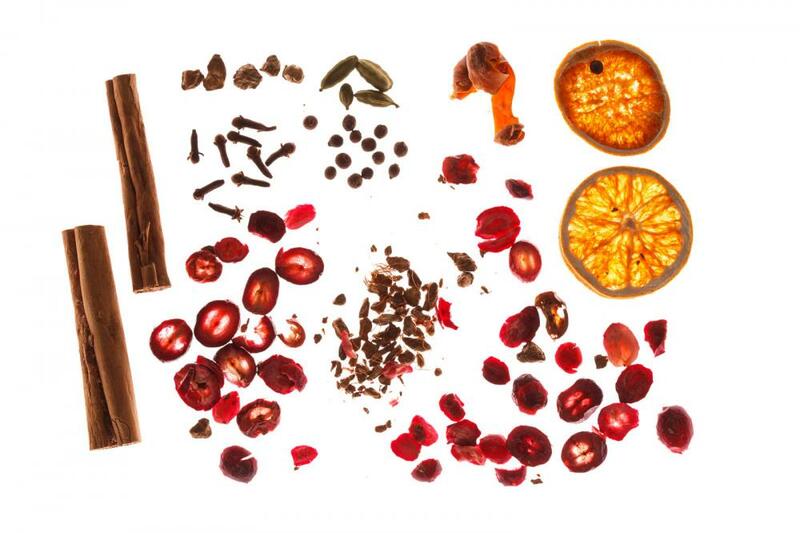 Some holiday spices not only smell beautiful and festive, but they’re also pretty, too. Incorporating whole spices such as star-shaped anise and cinnamon sticks into your celebrations will fill the air with holiday scents while creating visual interest. Try presenting star anise in a pretty glass bowl as a centerpiece. Strew bundles of cinnamon sticks tied with ribbons in holiday hues on the fireplace mantel. Add festive interest to a holiday table with a small potted rosemary bush. In a small pot, bring the water, sugar, and cardamom to a boil, stirring until the sugar is dissolved. Remove from heat and to cool. The simple syrup recipe will provide more syrup than needed to make this drink. Store extra syrup in the refrigerator for later. 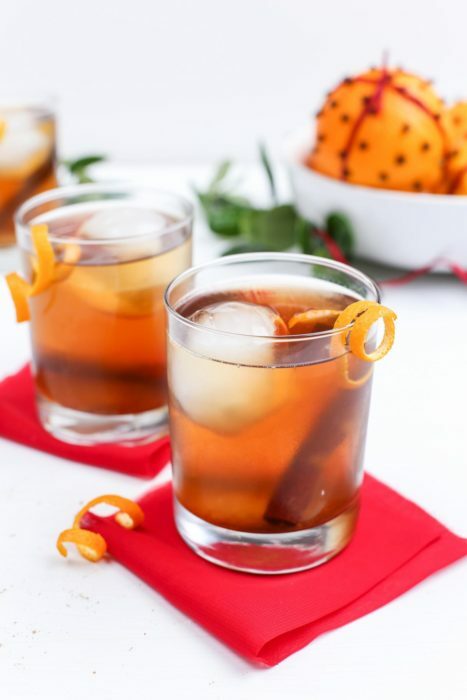 In a glass, combine the bourbon or rye whiskey, Bitters and syrup. Add orange peel. Using a muddler, crush the orange peel into the drink to release the orange flavor. Add the cinnamon stick, then let the drink rest for a few minutes. For more orange flavor, substitute an orange slice (with flesh) for the orange peel. Allow drink to rest for a few minutes, then stir to release flavor. Holiday spices and seasonings fall into two categories – sweet and savory. Historically, sweet spices have been the stars of baked holiday goods, while savory ones added flare to main courses and side dishes. No rule says you can’t incorporate your favorite savory holiday spice into baked goods. Some, like allspice, are naturals for adding interest to baked items. For example, freshly ground peppercorns pair well with chocolate, and rosemary compliments lemony flavorings. Nutmeg is one of those spices associated with baked holiday goodies like cookies and cakes, but it works great on stovetop dishes, too, such as pasta – especially in cream sauce – soups and greens. It’s a great spice to add flavor and interest to a variety of side dishes. Because it goes so well with dairy, nutmeg is a winner in mac and cheese, and its hint of musky sweetness means it works well to foil the bitterness of certain greens. You can cook up a variety of homemade beauty treatments using holiday spices – and after all the work you’ll be doing this season, you deserve it! Rinsing hair with a rosemary infusion shines and clarifies your tresses. Cinnamon and clove, when paired with Bentonite clay powder or honey, make refreshing facial masques. And you can find recipes online to make your lip balm with cinnamon, cardamom, and nutmeg. For more holiday spice ideas and to find organic seasonings for all your holiday needs, visit http://holidays.simplyorganic.com/. Organic spices are easy-to-find and make a great gift for yourself or a loved one. 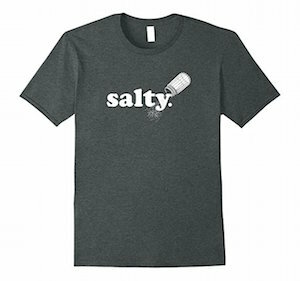 American cooking often has too much salt in it. It’s not because we are addicted to it – it’s just because it’s a flavor we know we enjoy. But there are many more options for cooking when you know your spices. Spices like turmeric are known to lower inflammation levels in the blood, which is the opposite of what too much salt can lead to! If you’re not sure which spices are healing, there’s also a great book called Healing Spices available on Amazon.